The leadership of the small Jewish community in Croatia, along with representatives of the country’s Serb minority, has boycotted the last two government-sponsored Holocaust commemorations in 2016 and 2017. 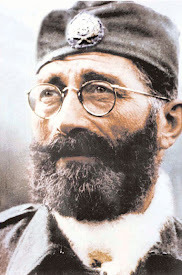 Demonstrating impressive moral courage and integrity, they refuse to condone a historical revisionism with echoes of Holocaust denial that aims to rehabilitate the Ustasha, a Croatian fascist movement led by the nationalist dictator Ante Pavelić that aggressively and ardently murdered hundreds of thousands of Serbs and tens of thousands of Jews during World War II. It is true that Croatian President Kolinda Grabar-Kitarovic had similarly condemned the Ustasha’s role during the Holocaust during a 2015 visit to Israel. “I express my deepest regrets to all the victims of the Holocaust in Croatia, killed at the hands of the collaborationist Ustasha regime during World War II,” she said at Yad Vashem in Jerusalem. On a subsequent trip to Canada, however, President Grabar-Kitarovic sent a far different message when she posed with a group of Croatian émigrés holding a flag bearing the Ustasha symbol. She also raised eyebrows when she said in a radio interview that “I adore listening to” a popular Croatian singer-songwriter who regularly glorifies the Ustasha. 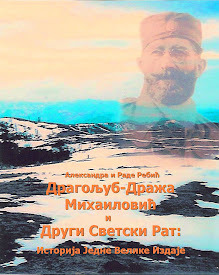 "In Croatia, no sooner did Pavelić return from Italian exile and establish his new regime—a mixture of fascism and devout Catholicism—then, as the German envoy to Zagreb, Edmund von Glaise Horstenau, reported “the Ustasha went raging mad.” The poglavnik (“leader,” in Serbo-Croat) launched a genocidal crusade against the 2.2 million Christian Orthodox Serbs (out of a total population of 6.7 million) living on Croatian territory, and against the country’s 45,000 Jews, particularly in ethnically mixed Bosnia. The Catholic Ustasha did not mind the continuous presence of Muslims or Protestants, but Serbs and Jews had to convert, leave or to die. According to historian Jonathan Steinberg, “Serbian and Jewish men, women and children were literally hacked to death. Whole villages were razed to the ground and the people driven to barns, to which the Ustasha set fire. There is in the Italian Foreign Ministry archive a collection of photographs of the butcher knives, hooks, and axes used to chop up Serbian victims. 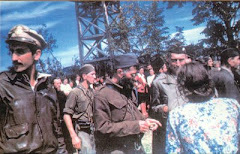 There are photographs of Serb women with breasts hacked off by pocket knives, men with eyes gouged out, emasculated, and mutilated.” "
At the time, the Croatian government’s failure to take any action to remove the plaque, along with its general casting of the Ustasha as no worse (if not better) than the Communist-led anti-fascist partisans of WWII, caused the Jewish community to boycott the official state commemoration of International Holocaust Remembrance Day on Jan. 27, 2017. “If the red star [the insignia of the Partisans] and the Ustasha’s ‘U’ [insignia] are the same, then there’s nothing more to talk about,” explained Dr. Kraus. The overall history of the Holocaust in most of Nazi-occupied Europe is well known, thanks to a great extent to the works of historians such as Raul Hilberg, Saul Friedländer, Yehuda Bauer, and David Cesarani, and to major institutions dedicated to Holocaust remembrance and research, including the United States Holocaust Memorial Museum in Washington, Yad Vashem in Jerusalem, and the Fondation pour la Mémoire de la Shoah in Paris. The same, however, cannot be said for the perpetration of the Holocaust in the Balkans. 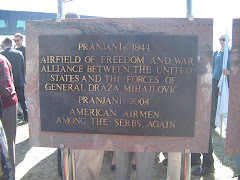 It must be noted that the Independent State of Croatia that was carved out of Yugoslavia in 1941 was geographically different from the present-day Republic of Croatia in that it included Bosnia and Herzegovina as well as parts of Serbia and Slovenia, but not Dalmatia, which had been given to Italy. Only 24,000 Jews lived in what is today the Republic of Croatia. Any study of the Holocaust in the Balkans requires separate analysis of each of the regions of what had been—and would resume to be after the war—Yugoslavia. In Serbia, for instance, German soldiers massacred 4,000 to 5,000 Jewish men in the autumn of 1941, and thousands more Jewish men, women, and children, as well as Roma, were subsequently murdered at the Nazi concentration camp of Sajmište (Semlin in German). 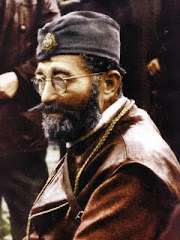 In Macedonia, Jews were in due course handed over by the Bulgarian government to the Germans for deportation, resulting in the near decimation of that community. In Croatia, the gruesome course of events was different yet again. The Ustasha established a network of home-grown concentration camps infamous for their brutality and comparable to the barbarity of the German death and concentration camps. 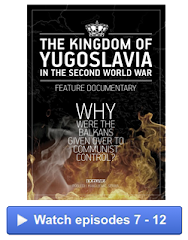 The most notorious of these was a group of five camps collectively named Jasenovac, near Zagreb, often referred to as the “Auschwitz of the Balkans.” Again according to the U.S. Holocaust Memorial Museum, somewhere between 77,000 and 99,000 Serbs, Jews and Roma were brutally murdered there. The Jasenovac Memorial Site has identified by name 83,145 Serbs, Jews, Roma, and anti-fascists who perished in these camps. “The Jasenovac camps were an execution site and grave for more than half the Jewish victims during the existence of the [independent state of Croatia] and for more than one-third of the Zagreb Jews who disappeared in the Holocaust in 1941-1945,” wrote historians Ivo Goldstein and Slavko Goldstein in their The Holocaust in Croatia. 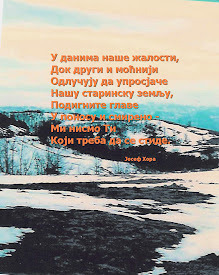 Yet for most of the post-WWII era, little public discussion or awareness was devoted to the Holocaust within the former Yugoslavia or elsewhere in the Balkans. 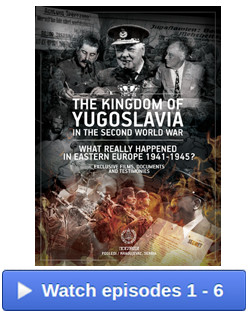 In effect, both the revisionist Sedlar film and the exhibit at Jasenovac affirmatively distorted and denied the fundamental truth that the Ustasha committed atrocities there that today would unquestionably be considered genocide as a matter of international law. 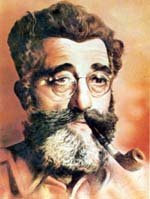 One of the earliest controversies in this regard came after Croatia declared its independence from Yugoslavia in 1991, and it became known that its first president, the hardline nationalist Franjo Tudjman, had maintained that the generally accepted number of Jewish victims of the Holocaust was greatly exaggerated. Tudjman had also made numerous anti-Semitic slurs, including, notably: “A Jew is still a Jew. Even in the camps, they retained their bad characteristics: selfishness, perfidy, meanness, slyness, and treachery.” Tudjman eventually apologized—at least twice—first in 1992 in a letter to World Jewish Congress President Edgar M. Bronfman, and again the following year to Kent Schiner, the international president of B’nai B’rith. The Baltic states and Ukraine have also been receptive soil for such initiatives to rehabilitate individuals who took part in the deportation and murder of their Jewish neighbors. Such manifestations have included demonstrations glorifying homegrown units of the Waffen-SS, and naming streets for Nazi collaborators. In Hungary, Budapest’s Memorial to the Victims of the German Occupation (a) turns a blind eye to the 1944 deportation and subsequent mass-murder of Hungarian Jews; (b) portrays Hungary as a victim of Nazism rather than, for most of WWII, a willing ally of Nazi Germany; and (c) turns the entire Hungarian nation and people into a victim of a foreign evil, utterly ignoring the fact that it was primarily Hungarian policemen, not Germans, who rounded up Jews for deportation. Elsewhere in the Hungarian capital, a museum called The House of Terror, opened in 2002, effectively places Nazism on the same moral plane and in the same light as the post-WWII Communist regime, in effect equating the latter’s secret police with Nazi Germany’s notorious SS. Equally if not even more troubling, the House of Terror devotes substantially more space to Communist crimes than to the genocide of Hungarian Jewry during the Holocaust. Moreover, it goes out of its way to highlight the Jewish origins of some of those deemed responsible for the communist crimes. Meanwhile, the neo-fascist Jobbik party has become a fixture on the Hungarian political scene, complete with harsh anti-Semitic and anti-Roma rhetoric. 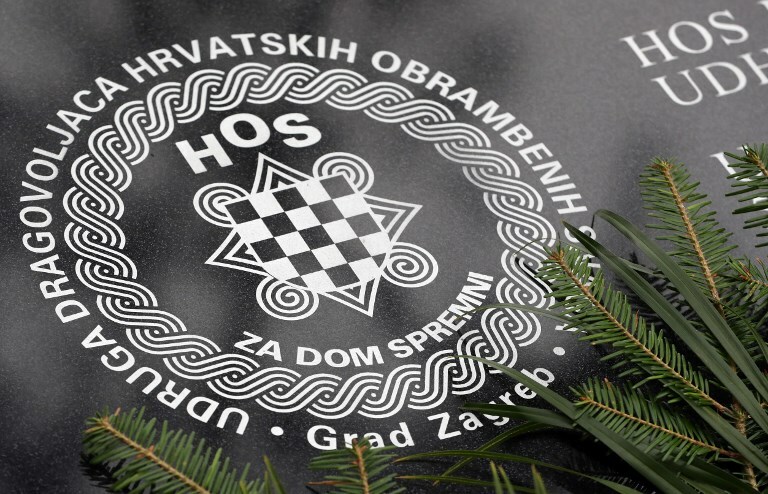 It is in this broader context of a disquieting trend to downplay if not totally ignore crimes against humanity committed by domestic Nazi collaborators, both individuals and movements, during the years of the Holocaust, that the Croatian Jewish community’s confrontation with the Croatian authorities takes on special significance. The recasting of the Ustasha as national heroes and role models has ominous connotations in a country and region where ethnic hatred and strife have had catastrophic consequences, not just during WWII but more recently during the Balkan wars of the 1990s. 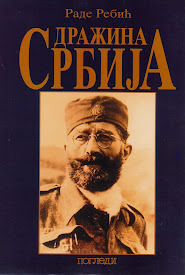 The publication in 2001 of Ivo and Slavko Goldstein’s meticulously researched The Holocaust in Croatia makes it impossible for the Croatian authorities to claim ignorance of the Ustasha’s direct responsibility for the genocides of Serbs, Jews, and Roma between 1941 and 1945. Indeed, this book, which was published in English in 2016 by University of Pittsburgh Press in association with the U.S. Holocaust Memorial Museum, should be required reading in all Croatian schools and at all Croatian universities. 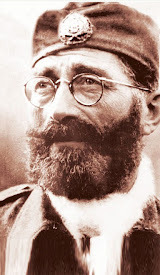 At a time when far-right politicians and ideologues like the above-mentioned former Croatian minister of culture, Zlatko Hasanbegovićare, becoming increasingly brazen, if not overtly shameless, in their attempts to write the crimes against humanity committed by the Ustasha out of their nation’s history, the Croatian Jewish community deserves both respect and international support. Such support should come not just from international Jewish organizations and other Jewish communities, but from institutions and agencies around the world that are dedicated to the preservation of the memory of the Holocaust and other genocides. These small and overdue steps are necessary to prevent the re-creation of the xenophobic, hate-filled environment that allowed the Holocaust and other genocides to occur in the first place.